For me, holidays should be an adventure, packing is as much as possible and soaking up all the culture as you can. (Erm, Florida may be an exception to the whole culture thing!) Problem is, of course, that the cost of travelling, accommodation, sightseeing and so on soon adds up and eats into your budget. 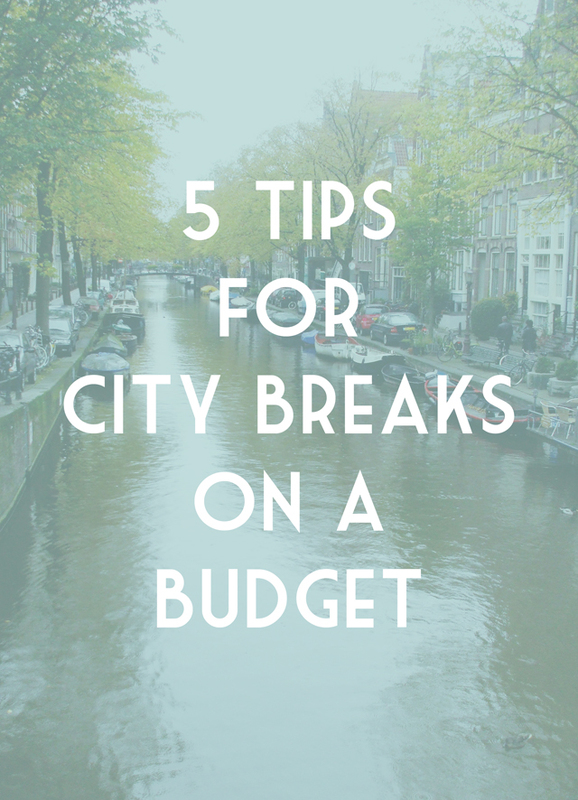 In order to keep costs down as much as possible, allow me to share my top five tips for saving money on a city break. There's a definite perception that hostels are the rough dwellings of annoying gap-year teenagers but I've found they can be a really affordable, pleasant place to stay. If you plan on filling your days up, you only need a bed for the night anyway, so why waste money on a fancy hotel that you'll only spend a few waking hours in? The big plus is that the more people you're willing to share a room with, the cheaper it becomes. Yes, there's the risk of ending up with a snorer (and having your friend loudly tell you to shut up, not realising it was actually the German tourist on the other side of the room), but pack some earplugs and you're golden! Many hostels can be found right in the city centre, so it's convenient for travel at a fraction of what you'd expect to pay! I recommend: Way Hostel in Madrid- I stayed here when My Chemical Romance were playing a Spanish festival. We may or may not have chosen it purely because the name made us think of Gerard and Mikey Way but were pleasantly surprised to find it was a wonderful, clean hostel with all-you-can-eat Nutella breakfasts. Result! Clink 78 Hostel in London- This place was a courtroom where The Clash were tried in 1978 for shooting a pigeon. The cells are still intact and have been converted into rooms. So many city attractions are completely free to visit. Unlike London, most European cities charge entry for their major museums, but you can find hidden gems for absolutely nothing. Sites like The Lonely Planet are fantastic for hunting down places to visit that won't hammer your wallet. I recommend: Throw a coin in the Trevi Fountain in Rome- According to folklore, tossing a coin in the fountain will ensure your return. I went as a kid and haven't returned yet so I'm not sure how much I trust that! Nevertheless, I have fond memories of throwing in my coin before eating ice cream on the Spanish Steps. I assumed the green ice cream was mint choch chip. It was pistachio. One very unhappy Becky! If you're used to London public transport, most cities will actually prove to be refreshing as they're rarely more expensive than London. However, if you want to stretch your budget, it makes sense to walk as much as possible. 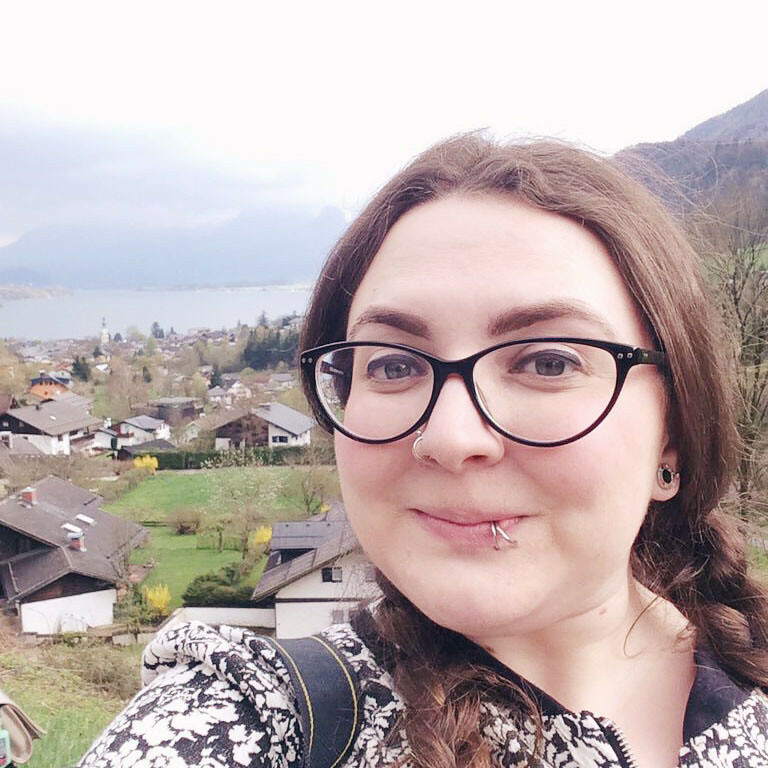 Many cities are really easy to walk around and you'll probably find little places to visit that you never would have spotted had you been stuck on a bus or train! I recommend: Edinburgh is super easy to get the hang of once you start walking around it, and of course Amsterdam is beautiful, as I've already said. Rather than head to the tourist traps, visiting tucked-away local pubs and restaurants can be a lot cheaper. The language barrier can be difficult of course, but go in with an open mind and you'll be surprised by what you find! I recommend: Heading down side streets to find suitable places. I can't recommend any places in particular because I never knew their names! Learn from my mistakes: Take a note of names and addresses for future reference. Of course the easiest way to avoid running out of money is to start saving well in advance. Popping a small amount into a savings account each month will develop into a nice little travel fund before you know it! What's your best holiday budget tip? Let me know in the comments! Post written in collaboration with TSB. Great post Becky! We're off to Rome in October and on a bit of a budget due to house buying so trying to do it as cheaply as possible (though it's not going as well as I'd hoped...). Nick says we're too old for hostels now but I think I might have to steer him in that direction! My tip is similar to your 'walk everywhere' suggestion - look for free walking tours in the city you're visiting. Lots of cities have them, they're a great way to get an overview of a place and learn a bit of history, and as you pay what you think it's worth they can be really affordable. I'd also suggest getting some kind of weekly travelcard if you're using subways or buses a lot as it can work out cheaper than topping up for individual journeys. You had me at all-you-can-eat Nutella breakfasts. Most European attractions like museums etc. will offer discount if you're under a certain age and have proof that you live in the EU (driving licence, passport) etc. The Louvre even lets you in for free! Free walking tours are excellent - you just pay a tip at the end if you like. We had one in Montmartre, Paris and also in Prague. Such good value and their knowledge is excellent! My boyfriend's mum went to Rome last year JUST to see the Trevi fountain and it had been boarded up! How disappointing! Keeping an eye on flight websites such as Ryanair for flash sales is also a good one, as well as signing up to deals websites for last minute deals. A tip which isn't useful for everyone is also, if you can, to fly off peak. I'm heading to Cologne in the middle of September for three days and in total, including flights and hotel, it's costing me just £50. However, not so great if you're a teacher!